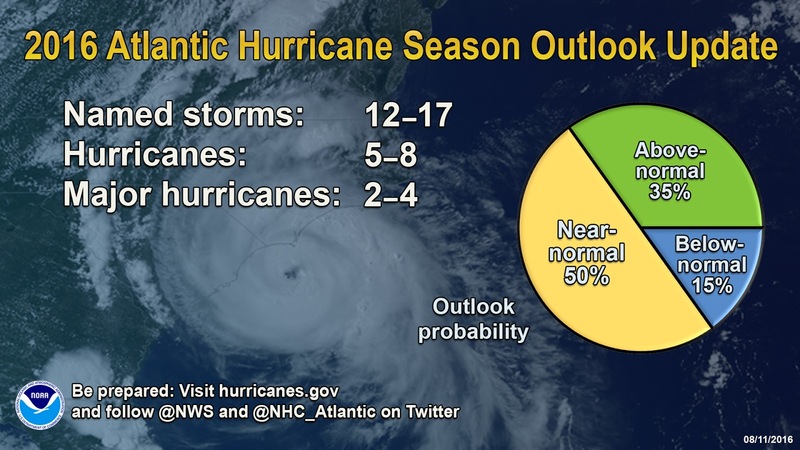 MIAMI, Florida - NOAA’s Climate Prediction Center has updated its previous forecast that the 2016 Atlantic hurricane season, which runs from June 1 through November 30, will be the most active hurricane season in four years. Forecasters now expect a 70-percent chance of 12–17 named storms, of which 5–8 are expected to become hurricanes, including 2–4 major hurricanes. The initial outlook called for 10–16 named storms, 4–8 hurricanes, and 1–4 major hurricanes. 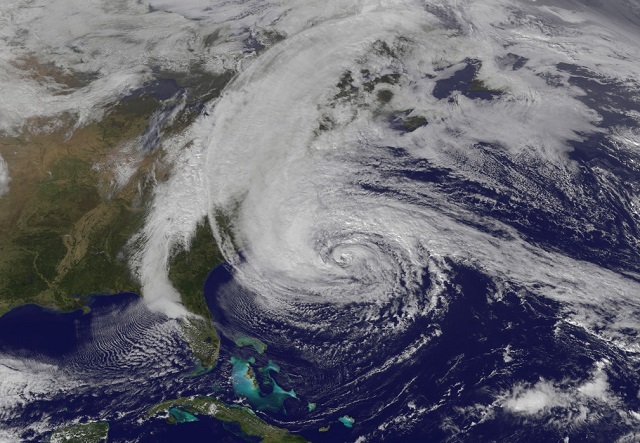 The seasonal averages are 12 named storms, 6 hurricanes and 3 major hurricanes. 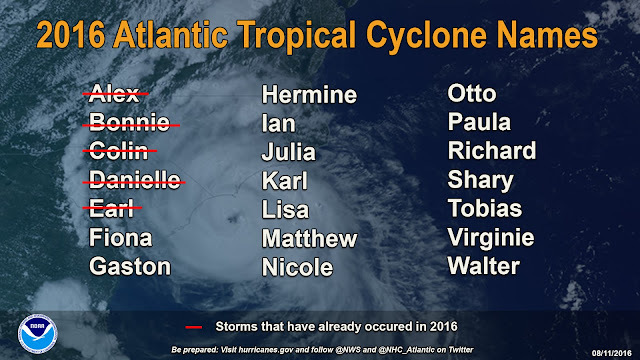 To date, there have been five named storms, including two hurricanes (Alex and Earl). Four made landfall: Bonnie (in South Carolina), Colin (in western Florida), Danielle (in eastern Mexico), and Earl (in Belize and Mexico).